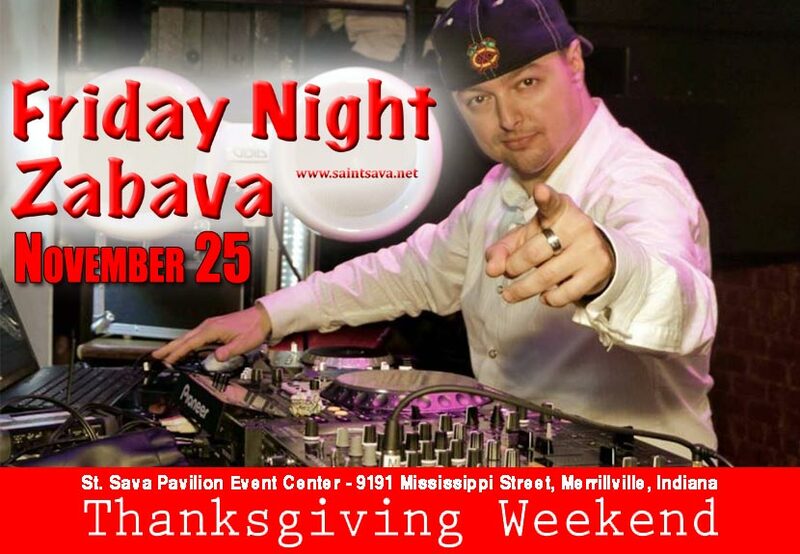 DJ Spaz from Chicago will be spinning the latest and greatest Serbian dance music along with the old school jams and kolos at the Friday Night Zabava Thanksgiving Weekend, November 25 in the Pavilion at St. Sava Serbian Church, 9191 Mississippi Street, Merrillville, IN 46410. 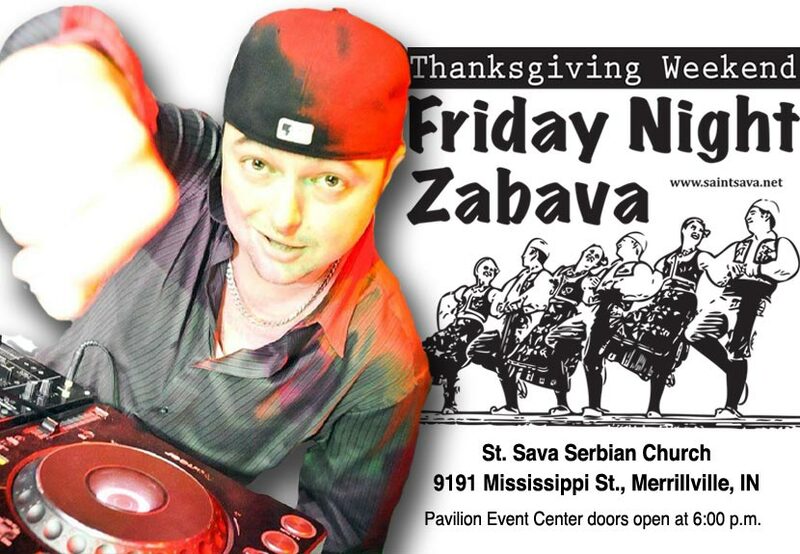 This is a special opportunity for Serbs throughout Northwest Indiana and the Chicagoland area to come together for a classic Zabava experience to celebrate a shared culture and friendships. It’s also a great opportunity for members of the community to visit to experience Serbian culture, music, and foods. Doors open at 6:00 p.m., dinners and a cash bar will be available. Admission is $10 with free admission for all children under 12 years old.